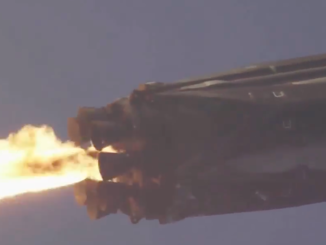 The Falcon 9 ignited its engines at 5 p.m. EDT (2100 GMT) Wednesday at Cape Canaveral’s Complex 40 launch pad. Hold-down restraints kept the launcher firmly on the ground as the Merlin engines throttled up to full power for several seconds before shutting down, sending a plume of exhaust into an overcast sky over the Florida spaceport. SpaceX confirmed the static fire test in a tweet minutes later, and ground crews planned to remove the rocket from the launch pad and roll it back into a nearby hangar for attachment of the Telstar 19 VANTAGE communications satellite, a U.S.-built, Canadian-owned craft set to launch on a 15-year mission to beam broadband services over the Americas. The rocket will return to the launch pad Saturday ahead of a four-hour launch window opening at 1:50 a.m. EDT (0550 GMT) Sunday. Telstar 19 VANTAGE is the first of two spacecraft owned by Telesat, a telecom satellite operator based on Ottawa, scheduled for launch this summer on Falcon 9 rockets. Another spacecraft, named Telstar 18 VANTAGE, is set for liftoff no earlier than Aug. 17. 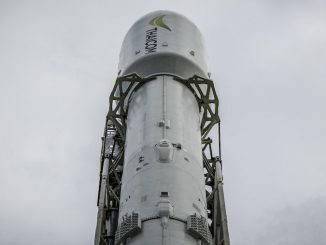 The Falcon 9 rocket set for launch with Telstar 19 VANTAGE this weekend will be the second of SpaceX’s upgraded Falcon 9 Block 5 launch vehicles to fly, following a successful debut of the new-generation rocket configuration in May. The Falcon 9 Block 5 features improvements aimed at making the rocket’s first stage easier to reuse, safety and reliability upgrades, plus higher-performing engines to lift heavier payloads into orbit. 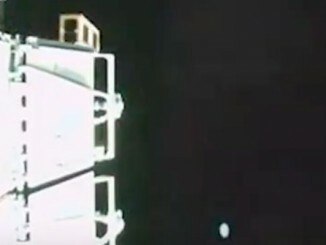 The Falcon 9 Block 5’s external appearance has also changed from previous Falcon 9 versions, with a black interstage and black landing legs at the base of the first stage. SpaceX plans to retrieve the first stage on Sunday’s launch aboard a drone ship positioned in the Atlantic Ocean east of Cape Canaveral. 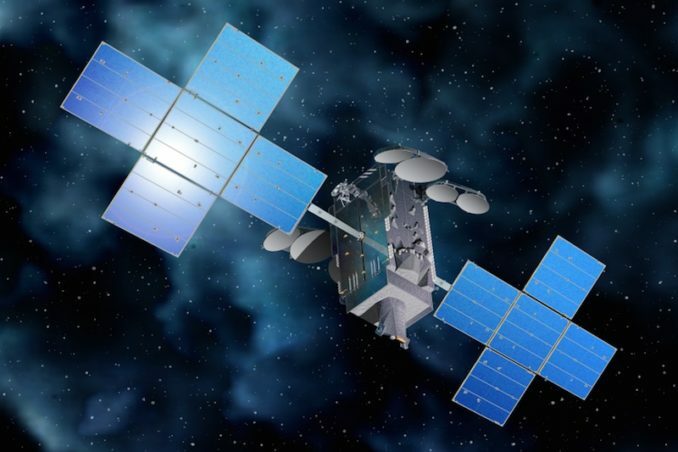 Built in Palo Alto, California, by SSL, formerly known as Space Systems/Loral, the Telstar 19 VANTAGE satellite will be parked in geostationary orbit at 63 degrees west longitude, alongside the Telstar 14R satellite launched in 2011. The weather forecast for Sunday’s early morning launch window calls for a 60 percent probability of favorable conditions for liftoff. A frontal system is forecast to arrive in Central Florida on Saturday, allowing the typical summertime afternoon showers and thunderstorms to linger later in the night than usual, according to an outlook issued by the U.S. Air Force’s 45th Weather Squadron. The forecast predicts isolated rain showers during the launch window, with a few clouds at 2,500 feet, scattered clouds at 12,000 feet, and a broken deck at 22,000 feet. Winds should be from the west-southwest at 15 to 20 mph, with a temperature of around 80 degrees Fahrenheit. The primary weather concerns Sunday are with violating the thick cloud and cumulus cloud rules. Similar weather conditions are forecast during a backup launch window early Monday. The launch Sunday with Telstar 19 VANTAGE will be SpaceX’s 13th mission of the year, and the company plans another Falcon 9 launch three days later. Crews at Vandenberg Air Force Base, California, are preparing another Falcon 9 Block 5 rocket for liftoff July 25 with 10 Iridium voice and data relay satellites. 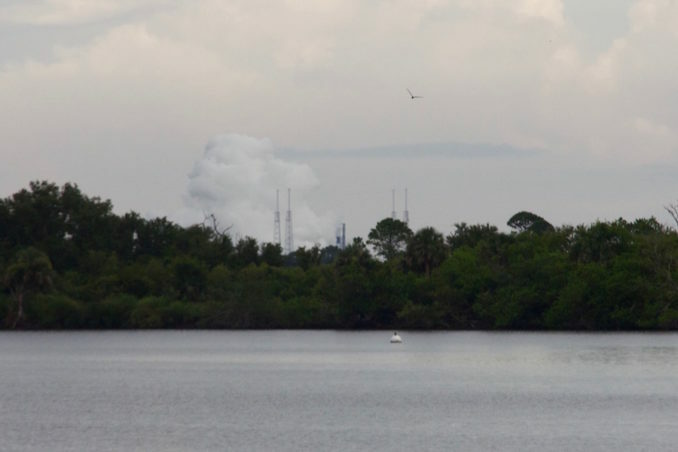 SpaceX’s launch schedule will return to Cape Canaveral with another Falcon 9 flight no earlier than Aug. 2 with an Indonesian communications satellite.